It’s me again. It’s been 15 years since we lost you. So much has happened since then in my life and around the world. Life continued on, but life as I knew it was altered. The world changed on that day… I changed that day. One significant thing for me was I started thinking about Heaven. I never thought of it much before that day. I believed in it but I was more consumed with this life and those thoughts left little room to think about the ever after. So many hopes and dreams as a young college student, my mind filled with so many what-ifs, “What will I major in? Who will I marry? What am I going to do for the rest of my life?” But the day you arrived in heaven was the day I started really thinking about it. I used to wonder what heaven would look like. I remember looking at my mom’s jewelry box and thinking “The streets of heaven are going to be made of this?” Picking up a gold ring and a pearl necklace I imagined the pearly gates and streets of gold, and the city walls made of colorful jewels. But before that day, that was all it was, more of a wonder than a longing. Not that I don’t see glimpses of heaven on earth, I do. I see it when the sun rises and its piercing light engulfs the majestic Hawaiian topography, and pink rays of light seem to shoot out through the mountains. I see it in Kaitlyn when she laughs and presses her face against mine. I see it in the light in Audrey’s eyes during peek-a-boo. I see it in my husband and son’s bedtime jokes and laughter. Though God has filled my life with so many hints and incredible tastes of heaven, I know a little better now than to mistake the preview for the movie. Though I know what heaven will look like is beyond the scope of my imagination, heaven is not about what anymore, it’s about who. I think about resting my weary eyes on Jesus and being embraced and welcomed, to have every hope and desire satisfied. I know I will never understand the feelings of dissatisfaction on earth, as the day they are fulfilled. I think about seeing you again and being welcomed by your laugh, seeing your gifts as a worship leader in its fullness, because it won’t be about merely trying to usher us to think about heaven and God because we’ll be there. The day you left to heaven is the day I realized how short and tenuous life on earth is. At times when I wished I had committed my life to something anything other than ministry, I go back to that day. Life is too short to not live in light of eternity and doing what I believe He has created me to do. I’m not ready yet, but preparing, thinking and hoping for that day. For now, I Can Only Imagine, till we meet again. I've come to the conclusion that mommy blogging is hard for several reasons. It's hard keeping it updated obviously, setting aside any sort of uninterrupted time as a mother is always a challenge, but I think the biggest trial is knowing how much about your family you want to share. There is a reason why I haven't posted at all this year. The truth is the past couple years have been tough on me and on my family. For one we added another kid, so there's that, but also because there is something about our family that has been strenuous but something I've been hesitant to talk about. How can I be honest on this blog and share about how I'm doing and what I'm thinking, when I'm not talking about the main thing that has been filling my thoughts and my life as a mother? So here it goes. My daughter Kaitlyn was diagnosed as having Autism Spectrum Disorder in January of 2015. When Kaitlyn turned two we took her to her two year old check-up. Her pediatrician asked me "How many words does can Kaitlyn say?"..... I paused for a moment because at this point she said a few words, but none of those words sounded like the actual words. So I said "none." My pediatrician said "She's definitely delayed, she should be saying 20-30 words at least." So we she was assessed through Early Intervention and at the initial assessment she scored as being normal in all categories and only qualified for speech sessions. I breathed a sigh of relief knowing that my worst fear was nothing at all. So we started with the speech sessions for once a week for 45 mins at a time and over time it did absolutely nothing. The funny thing is, when I brought her to the doctor at 2 years old and I filled out the check list of "Possible Warning Signs" of ASD, she barely hit any of the categories. Over the next 6 months, like some sort of self-fulfilled prophesy I started seeing more of the symptoms appear. It was like the presentiment of a diagnosis was looming over me like a ghost. As each of these "warning signs" appeared, solid pieces of the puzzle began to fill the shadowy frame, validating all my fears. She started becoming more withdrawn (little eye contact etc. ), being fixated on certain things, unable to control her emotions, sensory issues, and still not able to communicate or understand simple words and phrases. Then her speech therapist recommended getting her reassessed. She started intensive skills training sessions where a skills trainer came over everyday for three hours. Her curriculum was very comprehensive and she trained her in speech, self care, occupational therapy, and education. It was monumentally helpful. I started seeing her connect more and making progress. I still wonder till this day, "What would have happened if we hadn't lost those 6 months?" After a few months of intensive services we got her final assessment as being on the Autism Spectrum, with a psychologist from the Board of Health. I remember holding Audrey, who was only a week old at the time, in full on postpartum-hormone-crazed-sleep-deprived-mode thinking, "How am I going to raise a newborn and handle all of this??" Little did I know that Audrey would help Kaitlyn in ways I never could. That's another post for another time. After her assessment, we continued with Early Intervention until she turned three in May 2015. It was so sad to say farewell to her skills trainer but I was so grateful for all that she did for us and especially for allowing me to see what Kaitlyn was capable of. When you have the right team in place Early Intervention is an powerful and indispensable resource and I strongly advocate for those in need to make use of the services. Here are some pictures of her taken a year and 1/2 ago during her intensive sessions. Through Early Intervention she learned to communicate through pictures, sign language, and simple words. Here she is telling the teacher which puzzle she wants to do. She is still a puzzle addict! Her trainer brought lots of supplies for each session. Everything from an iPad, crafts, toys, sensory activities etc. Here she is doing a board puzzle, one of the many treasures in the skills trainer's bag! Song and dance with her skills coordinator and skills trainer. The skills trainer took very meticulous notes on all of her goals and her percentages for reaching them. I still have binders full of all she learned for each session. Art time with snacks. This was one of her favorite parts. Crafts and sensory activities all in one. If Joey wasn't at preschool he sometimes joined in! Now Kaitlyn is in special education preschool with the Department of Education. She loves preschool and every morning when I drop her off, she waves "Bye!" and never looks back. She continues to make progress and we celebrate each hard earned victory. There is a lot I've learned about ASD and it has certainly challenged me and has shaped me as a mother. Here are some pictures of her at her preschool. I took some snap shots of pictures on her wall. She had a cooking day. We made paper leis and had snacks for May Day. Parents were able to join! May day picture with her class! Her teacher is trying to get her to pose for camera... but it was HOT!! So why am I sharing this now? While we were going through Early Intervention and I was trying to come to grips with what was happening, one of the few things that brought me great comfort and reassurance was reading other mom blogs who were going through the same thing. Their words were like the sun's warmth on the back of your neck after being out in the rain on a cold windy day. It was through their vulnerability and veracity that I was able to get through those times. I hope maybe my story will be able to do that for someone else. Also, I wanted to continue this blog and it came to the point where I either had to chose to stop blogging altogether or be honest about what I was going though. Now, I don't want this blog to now be only about ASD but I would like it to continue to be about motherhood, the good times, and bad and everything in between. Kaitlyn's ASD certainly an important aspect of our family, but it doesn't define all that we are. And finally, I missed blogging, I've miss it a lot. Sometimes I felt like if I didn't write down and share what I was going through I would burst. I have so many unfinished and unpublished posts, just collecting dust in the blogosphere. There are so many things I've wanted to share, things I've learned about ASD, nursing, sibling dynamics etc. but I felt I couldn't share until I disclosed about this aspect of our lives. Now that I've shared, I hope you can join us as we continue this crazy journey while still being daechoong along the way. #smalleyes she's obviously from my gene pool. It's been a while. It's been hard getting my brain to think and complete whole sentences, so that's the reason for my absence. I'm hoping a combination of really strong coffee and an hour of silence will help me break this blogging dry spell. There have been many new developments for us. For one we moved to Aiea, or central Hawaii. Also my son, who was just a baby yesterday, started kindergarten and my daughter who is now 3 started preschool at the same school. In Hawaii kids start school at the end of July so its been a whole month and 1/2 so far. Its been an incredible blessing having the kids out of the house during the day but it does come with it's own set of challenges and revelations. Like, I thought I was past the point of having crazy meltdowns regarding my son's behavior, but then... homework. I thought I was past the point of wanting to rip out what still remains of my hair (the rest is slowly growing back thanks to postpartum baldness) but then... getting ready in the morning... and school drop off and pickup etc. So this is going to be a series of a few posts about the whole going to school experience. This one is about back to school shopping. I remember printing the list of back to school supplies, it was daunting because the list was like a mile long. It listed really specific things like, "4 bottles of Aloe Vera hand soap" and "fine tipped dry erase maker." We bought all the stuff and I ordered awesome cute labels and we diligently labeled each crayon, pen, pencil, notebook etc. Then the whole buying book bags and lunch boxes was super stressful. Joe and I decided on going to a discount department store. It took us forever to pick which lunch boxes and book bags would be best. Joe picked up one with the Disney Pixar's Car theme and I was like "That's so preschool and 2011" and I wondered, maybe kindergarten boys are out of the whole picking-a-cartoon phase, and now they're into name brands like Nike. What if all the other kids have Nike and Adidas book bags, and Joey's the only one with a cartoon-ish book bag. Then with Kaitlyn too, should we do a Frozen book bag, which we are all so over BTW, or a Puma one? Or is Hello Kitty still cool? Joe triumphantly found a Batman book bag and said it had to be the one, but I was like "What if that's not cool right now" his response was "Batman is always cool." so that's how that ended. We spent 20 minutes discussing comparing and picking new book bags, clothes, and lunch boxes. We decided on cartoon themed book bags and sport name brand lunch boxes. The first day of school started and as I saw all the kids gather in their class, I realized that they all shopped at the same discount department store, because each child had either a book bag or lunch box of one of the items we considered. They all had the same ones! Joey was the only one with a batman book bag though (dad fist pump). I think half the girls in the school had the same Hello Kitty book bag that Kaitlyn had too. Not only that, but a mom dropping her kid off was wearing the same dress as me! It was like we looked at each other and knew we both shopped at the discount rack at the discount department store, and that's way more information than you need to know about someone before you even meet them. Needless to say we quickly looked the other way. Now every time I drop my son off at school and I see all their lunch boxes laid out, I can't help but laugh. I wonder if the other parents stressed about it the way I did. I realized there was a reason I stressed about it. I remember when I was young my parents did not care at all about what we wore and what kind of book bag we had. I remember going to school in Adidios sneakers with 5 stripes instead of 3, or sneakers that looked like Sketchers, (which were all the rage in the mid nineties) but they didn't have the name "Sketchers" on them or any label at all, and they had 6 stripes instead of 2. And I carried a BonSport book bag instead of a JanSport. To my parents the difference was negligible, just a few letters missing and a couple extra stripes, but in the intricate and brutal social strata of middle school, it had profound consequences. It was bad enough that I was one of the only Asians in the entire school and that I looked different from everybody else, no matter what I wore, but having weird inaccessible knock-offs made it that much more difficult. It almost looked like my parents went out of their way to buy me fake stuff. When people would snicker and I would tell my mom, her response was always "They're jealous!"... Right..I wanted to say, "No one is jealous of my BonSport book bag mom!! Why would they be jealous when they have JanSport book bags!!" but I never did. When we were standing there fretting over Batman or Nike, or Frozen or Hello Kitty, we were fretting over something more. We want more for our kids than what we had. I want more for my kids than to just get good grades and learn, but I want them to have a positive school experience, unlike the one I had. It made me think about being a second generation Asian American parent. We might have shook our fists at our tiger parents growing up. We kicked down the door of our childhood and adolescence and emerged into adulthood with a list called "Things My Parents Did That I Will Never Do." After becoming a parent though I've slowly had to cross things off that list because I've become guilty of doing them. Not only that, I see the list differently now. I understand my parents now in a way I didn't back then. I remember my mom would scold us during the summer and say "How can you watch TV all summer? When you go to school you are going to be behind!!!" My brother and I would look at each other incredulously. "Doesn't she know it's summer as in 'There Is No School!!'" But I understand now that my mom didn't want to compare us to other kids. She was comparing us to her standard. My parents poured their lives into raising us and giving us every opportunity they might not have received themselves. Just as they wanted us to have what they didn't, I want my son to have all that I had, and more. These are some of the things I've been thinking about since school started. Realizing these subconscious wishes for my kids, and finding myself identifying with my parents along the way, helps me to prioritize, and it helps me refocus on what is important now and the plethora of similar lunch boxes and book bags at my son's school are a daily reminder of that. In the end I know I need to enjoy the first year of school, and many more "firsts" to come. Speaking of, here are some pictures of their first school carnival! My daughter is now being potty trained. She has a habit of going in her pull-up, taking it off, handing me the soiled thing, while looking at me like "You're welcome." My son on the other hand is potty trained of course, but has this insatiable desire to use way too much toilet paper. Seriously, he rips off chunks of tp like they are free lottery tickets. So then lo and behold, the toilet is always just about to overflow. I think I spend half my life in a bathroom these days. My newborn has explosive poops all the time. All these things will immediately get our attention and have us hail-mary-drop-everything while screaming our heads off. Food is forever and always hanging over my head. Who needs to eat now? Who is still eating? What mess do I need to clean now that he or she is done? I feel like I'm always getting my daughter something to eat because that's what she does all day, then getting my son to try to eat, because he takes forever to eat, then nursing the new born every 3 hours. I notice I feed the newborn first, then the others. Then if the newborn wants something she has to wait. Sleep... O Sleep! I can write sonnets right now about how much I long for thee. Sleep has become the white elephant of my life. It's rare, elusive, impossible to maintain and deeply desired. What I would give for a full nights rest! Or if that's too much, what would I give so that my kids nap at the same time? It's like asking for the moon. I have two kids that hate sleep. I swear they are solar powered. As soon as the sun makes a slight appearance, their batteries are charged and they're ready to scale walls. However my new born doesn't sleep at night. She crashes when the sun's about to rise, making me crash too. As soon as my kids are up they want to see mommy and baby but unfortunately I'm out like a log. As a result my husband has taken over the whole morning routine so I can get some rest. My son turned 5 yesterday and in the morning came unto the bed while I was in REM sleep to say "Good morning." What did I do on his 5th Birthday Morning? Hug and kiss him and tell him how much I love him? Nope. Problem is my brain was 90% in a vegetative state and all I could tell was something was interrupting my rest. From what I remember I thrashed about like a zombie and made incoherent noises, "Urhghahhahh!!! gAHHHHHH!!" It was only when I woke, and turned back into a human, that I realized. I keep telling myself that this will all pass. That one day things will go back to normal. I will have a functioning brain again (another reason why I haven't been blogging because unfortunately writing requires a working brain unless you are just venting which is what I'm doing), I won't be willing to trade a kidney for an extra hour of sleep, I'll be able to distinguish between my dreams and reality (I don't mean that in an abstract way, I mean literally. I think I fed my son salami for dinner a couple nights ago but not sure if it was a dream). I know that things will never go back to the way they were. From what I remember though, with each new baby things are a crazy-haze for a bit, but after a while things stabilize and each new kind of normal is in some way better than the last. The only thing is, in the begining you never know what the "new" normal will look like until you get there. For now with my compartmentalized brain, I'll take my own advice and get through one day at a time. Each day looking forward to be able to see the big picture a bit clearer. In celebration of my husband's and son's birthday we had a rare evening out at the beach! One thing I want to do as a mother is share my stories to my children. I hope these stories, like little faint flashes of light, help reveal who their mother is, and all the people and experiences that made me who I am today. Maybe that will help them get perspective in life and understand that many decisions, people, and circumstances make people who they are. My life has a good number of sweet uplifting Hallmark Channel worthy stories, about friends who cared, a family who loved, and mentors and teachers who took the time. But in that mixture racism like a stormy cloud, hoovered over my most formative years in the mid 90's. I always wondered how I would tell this story about this time period in my life. Now I am a mother of three, living in Hawaii and I'm pretty sure they will not encounter racism the same way I did. I know they may have trouble relating to what I went through in the 90's growing up in an all white suburb in New Jersey, but I believe the stories themselves can have a life of their own once handed down and will mean something. My son is now almost 5 years old and at an age where I am starting to share some of my stories about how I grew up in small digestible fragments for a 5 year old. When he gets to be a bit older I also plan on sharing about my experiences with racism. As my family is beginning this important stage with my son, a very rare and momentous thing happened. For the first time in 20 years ABC aired a sitcom starring an Asian American family called Fresh Off The Boat based on Eddie Huang's memoir by the same name, a book I read and thoroughly enjoyed BTW. The show takes place in the mid 90's around the same time I moved from New York, where there was some diversity, to an all white suburb in New Jersey and experienced the same type of racism that is portrayed in the show based off of Eddie Huang's experiences in Orlando Florida. Watching Fresh Off The Boat's pilot was like someone taking me by the hand and bringing me down memory lane, being the only Asian kid at school, trying to find where I fit in in a place where no one looked like me, the scornful looks at lunch, being called a "chink." The thing that struck me was, as Asian Americans these experiences are a source of pain and angst, and the show does not make light of these experiences but at the same time, there's a humor and lightness to how the story is told. I realized, when my son is a bit older and I am ready to talk about this phase in my life, the show Fresh Off The Boat provides a perfect medium to start that conversation. In the scene when Eddie, played by Hudson Yang, is called a "chink," I love how Eddie fights back. The next scene cuts to him sitting outside his principal's office as a result. He doesn't cower at the word "chink," like I often did as a kid. He doesn't let it change how he sees himself, the way I let it change the way I saw myself. I also think that is why the scene can be funny because yes, racial slurs happen, it's a fact of life, but it doesn't need to affect how you see yourself. When my son gets older and I start to talk about this time period in my life, since he is growing up in Hawaii, he may not have any experiences that link that word with the same emotions I felt when I heard it, but I would like his reference to be how it is portrayed in that scene with Eddie. Then I can share that it happened to me, and in life things like that will happen, but it was a journey to not let those words debilitate me just like my son shouldn't let racial slurs or put downs of any sort define him, as it is exemplified in Eddie. You see, the show provides a portal into my experiences in growing up in the 80's and 90's, which is important because my son's experience as a third generation Korean American growing up in Hawaii, is going to be completely different. This also goes for all subsequent generations of Asian American's. For each generation the experiences as a whole are going to differ from one generation to the next. My parents, for example, were a part of an immigration wave that the Korean's Immigration to the U.S.: History and Contemporary Trends Study (1) from Queens College calls the Acceleration Period. Due to economic uncertainty and political unrest in Korea during this period from 1976-1990 each year between 30,000 to 35,000 Koreans immigrated to the United States. Many of the second generation that came during this Acceleration Period were either the only Asians or were one among few where they lived, like me. Now the second generation from the Acceleration Period are having children of their own. Our children's stories are going to be different. We as their parents are of Korean decent but we are American, we were educated here, we have established a place in society, and we understand the culture. Our kids will not need to be the liaison to the outside world for us. Our children will not need to translate letters for us. They will not need to sit in parent teacher conferences with us in case we misunderstand something the teacher says. Also it is also much less likely that they are the only Asians where they live. They will not have to carry the same burdens we did. 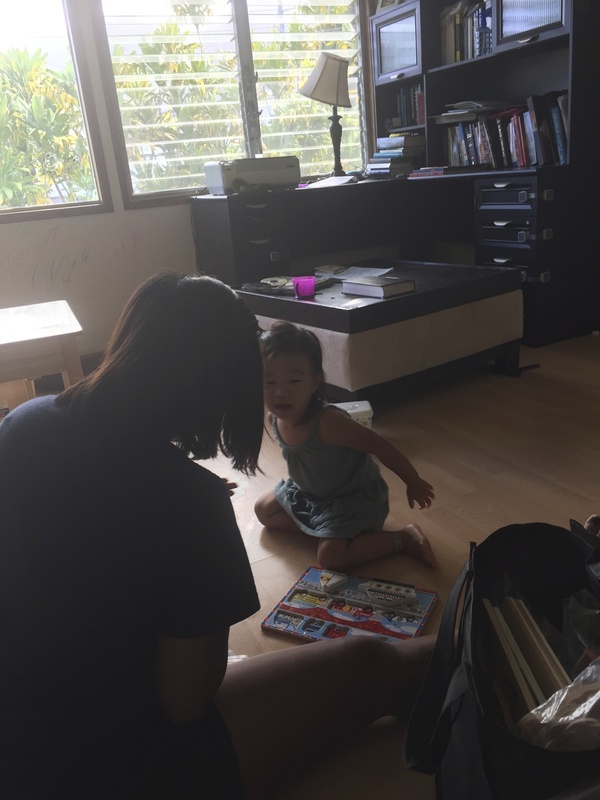 Their experience growing up in America will be markedly different from our own but that doesn't mean they shouldn't know what we went through as second generation Korean Americans. That is why the timing for Fresh Off The Boat is crucial in that, as the second generation of Korean Americans from the Acceleration Period are starting to have children of their own in growing numbers, the show provides a window into our story for them. Maybe in knowing what we went through, they see they are a part of a bigger picture, that others paved the way for them. Maybe it will get them to understand why we do things the way we do as second generation Korean American parents. Maybe they will learn when they face any sort of opposition or discrimination that they can rise up and not let what the world says define them. We can be honest that our origins and our story started from our parents being "fresh off the boat," a term coined from discrimination and racism, but we can be proud our stories. The show is evidence of how far we have come as Asian Americans in that we can subversively use that term to illustrate that racism, opposition and troubles we may have faced, never set the demarcations for who we are, rather only made us stronger, as told in Eddie's story and ours. I have officially survived two weeks as a mother of 3. Our life seemed to be chaotic before, but now we are in full whirlwind mode. Either one of us is with the baby, or the other two kids. It's what my husband likes to call "playing zone defense". I'll yell out "I'm going to feed the baby!" or "Diaper change!" and my husband will say "Going to take the other two outside!" and back and forth communicating who what where and when. And in many ways it is everything I expected with 3 kids under 5... but in some ways it's very different. Even though I'm tired, even though my body is unrecognizable, even though I'm still swollen and in some pain... I feel joy. Pregnancy number 3 was the worst. I felt like I underwent 10 months of torment, emotionally and physically. I was excited that I was pregnant and I felt baby number 3 would certainly complete our family... then the last trimester hit and I was in pain all over. It was like my body was scolding me for having 3 kids. My back ached all the time, heart burn was no joke, and I kept getting sick. One time I was hospitalized for food poisoning. I was in such excruciating pain that my Dr. had to put me on morphine (that stuff is awesome BTW). With each hiccup my Dr. assured me that the baby was healthy and fine with a really strong steady heartbeat. So there was the physical pain but there was so much going on inside of me emotionally. Each night I tossed around exhausted and uncomfortable from a full day of chasing around two kids, I couldn't help but think thoughts like "What have you done Joy? How are you going to raise another kid? You are so tired and spent now it'll only be worse." These thoughts plagued be daily. It was like there was a nay sayer hidden behind each of the pleats in my maternity dress. Thoughts that haunted me, that I carried around with me all day and night. But now she's here. Our beautiful daughter is here. Yes it is one more child added, but her arrival has changed the dynamic in our house. My four year old son is now an "oldest brother" always looking after his two sisters. He loves to hold her and my heart swells up with pride as I see him take on his new role with such confidence. My daughter Kaitlyn who was previously the baby, is now an older sister and her greatest joy is coming into our room in the morning to see her sister. When the baby cries I quickly hear the pitter patter of her little feet running towards the room. Before she struggled to get a grip around our door knobs to open the door. Now she can open it in an instant because she feels her little sister needs her. If she feels her sister's blanket is too close to her face, she'll gently fix it to make sure she's comfortable. While I'm changing the baby she'll be next to me handing me the wipes. Now every time I look at Kaitlyn I feel that she's changed, she seems so much older now next to her sister, it's like she grew up to be a little girl and an older sister in a matter of two weeks. When I became a mother I noticed there are two types of mamas, those that love the newborn phase and those that don't. Previously I belonged to the latter party. I always wanted to get past the newborn stage and get to the cute chubby interactive baby stage. Now, that this is most likely my last time around in the newborn phase, I've been soaking up each moment. At night when I feel her steady rhythmic breath on my chest, it's as if the whole world is still and it's just the two of us. I love how her breath smells like berries. With each breath it's like every negative thought and doubt dissipates into thin air. Those ten months of burden are done and now the fruit of it all is right before me. Those thoughts are negligible vapor compared to the living breathing beauty that is before me. With this little bundle of joy came a slew of sleepless nights and the typical post-partum woes, but that pales into utter insignificance compared to how she has changed and completed our family. My son is now 4 and 1/2. He's different now. I remember an unnie (older sister/friend) once told me, "4 is a different world." I was skeptical. I thought I would be spending the rest of my life managing one tantrum-meltdown after another. If it's your first time on Daechoong Mama, maybe a little preface is in order. Basically my son drove me crazy the last two years. He was an absolute dream before 2, but then his sister was born and it was game over. He started testing boundaries all the time. He became picky with his food (he still kinda is). He started HATING sleep and naps. If he didn't get his way it would lead to insufferable tantrums, often in public. But then he turned 4 in March and I started to see changes in him. Then, when the school year started in August, it's like a light switch turned on. He started listening when we asked him to do things. He started understanding boundaries. When we told him simple instructions, he started to follow them, and not disobey just to drive us crazy. Also, he loves to help . He's taken ownership of his role as an older brother. He understands that because he's the oldest, it's his job to help. I remember reading in Babble or one of those hipster parenting blogs about "getting your toddler to help." I tried to get him to help me make a sandwich or something when he was 3, and it ended up being a whining-tantrum-filled fiasco, resulting in an inedible sandwich and piece of my soul dying. "Hipster parenting blog, ruining my life!!" I thought, and I vowed never to let him help me with anything ever again. Then he turned 4 and having him help me is fulfilling, fun, and at times a God-send! He started to help me cook. I noticed the Crock-Pot is great way to introduce kids to cooking. I don't have to stress about burns etc. I typically cut up the ingredients and he puts it in the Crock-Pot and will help me mix it. Afterwards he's so proud of the end result and will go on and on during dinner about how he made the food we are eating. I noticed there are plenty of ways he can help, like pealing carrots. When we make egg salad sandwiches for lunch he'll cut up the egg whites with a butter knife. He's got a butter knife and he knows how to use it! Another amazing thing is that he'll eat salad now! When his sister finds kiddie siscors and decides to hack apart the silk flowers, it's big brother to the rescue... vainly picking up the pieces and trying to put it together. Just before I took this picture he grabbed his sister before she ran into the ocean. Gathering seashells for his sister. After breakfast on Saturdays they'll have chocolate milk. Joey will grab one for him and his sister and put the straw in for her. When we go to the mall and Kaitlyn runs around the stores, Joey will usually grab her just in time. Just 6 months earlier I used to dread taking him to the bank. He would run around the bank trying to get on top of the teller counter like he was about to perform a heist. Now while I'm at the bank Joey will sit with his sister and feed her snacks. I took these pictures over the course of a few months. I noticed, each time he was able to help me cook, or help with his sister somehow, over time I soon expected it. Now I expect him to be helpful and be an extra pair of hands and eyes with watching his sister. I realize also, that the last two years are a blur. I remember while I was going through that time I felt like it would be forever. I was recently backing up my hard drive and I went through some old videos of him. Some videos of him crying and whining, trying to piece his words together and get attention, he still had some baby fat in his cheeks. I strangely felt sad that it seemed like such a distant memory, almost like I was watching another child. I felt like I missed those times, even though they were filled with frustration and strife. I couldn't help but think, "Is that how he looked? Did he really use talk like that? Did he really act like that?" I look back and I wonder did I handle that phase as best as I could? I remember losing my cool so many times. I remember it took every last drop of patience (and I have very little) to keep from shouting at the top of my lungs on a daily basis. Did he mellow out because we were always disciplining him or was all that unnecessary and all I needed to do was wait till maturity took over? I'll never know for sure. All I know is that although I love this new found chapter in seeing my son mature, seeing his distinct personality take form, seeing his love for learning, his love for his family, especially his sister, and his overall optimism that is so unique to childhood... the last phase is gone. Nothing I did can be undone. I'm realizing motherhood is a train without stops or breaks and once you ride through one phase, if you don't take a close look around you, breathe in the air and enjoy the scenery and appreciate everything about it, before you know it, it's gone. Though there's always looking over the horizon to what the next phase has in store, it's a journey that's always looking forward. I need to keep that in mind with every new territory motherhood takes me, lest I pass through and not remember or appreciate where I was. So I'm in my last trimester and my sweet tooth is no joke. I crave all things sweet. At the end of each meal I feel it is incomplete without dessert. Which is really not good for baby, I know. I'm actually amazed that I passed my glucose test, a real miracle if you ask me. So I found this recipe for banana ice cream and I know its been done over and over again. It's nothing new but I was majorly skeptical. "There's no way it'll taste anything like actual ice cream!" I thought. But I tried it and it does. It really tastes like ice cream. So all the sweet deliciousness without the major guilt. I took some ripe bananas and I cut them up with a butter knife straight into a gallon ziploc bag. People suggested leaving them on a tray separated in the freezer but that's way too much work and I have no room in my freezer for all that. I just laid the ziploc bag down flat in the freezer so the pieces will be somewhat separated. I left it to freeze overnight and then had it ready for my lunch-dessert time (know there is no such thing as lunch-dessert but there is when I'm pregnant). Frozen and ready to go! Then I stick them in my Ninja Chop, about 2 cups worth and add 1/4 cup of milk. I just kept adding bit by bit until the bananas were able to be blended. Careful, it's a fine line between banana milkshake and ice cream, so just add a little bit at a time. Then I blended it until it was nice and smooth. I had to stop and mix it a few times with a spatula. Then I added a couple drops of vanilla extract. Creamy and ready to go. I had to take out the blades. So I gobbled this up in 2 minutes. It was rich, creamy, sweet and it hit the spot. Warning! It only tastes like ice cream as long as it's not melted. Once it starts melting it tastes like liquified bananas. Gross! So you must eat it quickly. One time I added peanut butter to it and it was amazing too. You can also added walnuts or almonds, whatever you like. Either way you're fooling your body into eating wholesome fruit! So my husband and I celebrated our 6th year anniversary at the end of August. So for a whole two months I've been thinking about this post. I was going to write something along the lines of "Six Thoughts On Our Six Years of Marriage" to go along with the 5 thoughts I did last year. I tried to think of 6 new insightful thoughts but when I came down to it, I drew a blank. Who am I kidding? I'm still learning and relearning the 5 that I wrote about last year. I do have one thought though. As I reminisce and ruminate upon the last 6 years of marriage there is one thing that I've come to realize. Marriage is the sum of many parts. Looking back to my pre-marriage days, I realize so much of how I perceived marriage was shaped by songs, movies, and TV. Now when I watch dramas, rom coms, and Korean dramas, don't get me wrong I still love all of the above, but now that I've been married for 6 years, I can't help but snicker a bit on how love is portrayed. In the media, love is always depicted as something that takes over you, something that you cannot control. It's the driving force of love that leads people to abandon reason and do crazy things i.e. fall in love with someone your family detests, leave a life of comfort and luxury, be willing to face unbelievable hardship to be with that person etc. Once they are together and married, the story ends. I remember wondering before I got married, "What does the story look like afterwards? If love is a force that overtakes you and causes you to sacrifice your needs and desires for the happiness of the other person, what happens when all that emotion, passion, and that driving force runs out? Is love enough to carry you through a lifetime together?" Now that I have been married for six years, which I think is still just the tip of the iceberg in the grander scheme of things, I can't help but think my idea of love has completely changed. What makes a marriage is the sum of countless decisions ranging from the significant to the menial and the mundane. It's many moments of choosing to love at the end of the night when all you want to do is pass out, choosing to forgive when he/she forgets to throw out their cola can (him) or refill the toilet paper (me), choosing not to yell when there's socks on the floor, choosing to respect your spouse's decision and support him/her even though you disagree, choosing to say what you want to say (but not the way you said it in your head) and choosing to let him have a night off (me), or let her sleep in, while you take the brunt of the morning routine (him), you choose to love that person in this way, day in and day out. Now, I know there are things that are beyond one's control that can affect a marriage. I'm not saying that ball is always in your court, everyone's situation is different, but in my experience I realize there is a lot of room to choose. And choosing one way vs another over time, changes the dynamic, scope, depth and strength of a marriage. And it's that choice or commitment on a moment to moment, to a day to day basis that perpetuates and fuels love. Love becomes an outcome instead of a motivator. I remember before I was married I would find people saying things like "I love my wife/husband more than when we were first married!" It puzzled me as to how that would be the case. They might as well have been Calculus experts explaining Fubini's theorem, I accept it as true, but have absolutely no idea as to how ... After 6 years of married though, I understand. If anything happened to my husband on the eve of our marriage would I be able to move on? It would be incredibly painful but over time I think I would have been able to. At the time, I had my own identity and I knew who I was apart from him. Over the years however, we've shared so much of ourselves, so many experiences, slowly it's hard to know an identity apart from being his wife and sharing a life with him. I would have scoffed at the idea before I was married thinking, "I'll always know who I am apart from being someone's wife." but over time I can see how that can be hard and as time passes, love is not just something that fuels the marriage. Over time in receiving that person's love, in the form of daily choices, that in turn perpetuates love. Before marriage, much of my love was based on his attributes, everything from the tangible to the visceral qualities, that I couldn't quite pin point, but all the more drew me to him. Now, though I still love the many aspects of his personality and his character, so much of my love for him is perpetuated by the daily love I receive. Love starts to take a different form, from emotions to passions to a quiet force that blurs the lines between where you start and where he begins, where that person ends up making, shaping, and forming so much of you, where you can't imagine a world apart from your other half. And it's that love, in the form of daily choices, daily decisions in a commitment to love, the melding and shaping of identities, that trumps all the love you could have ever felt on your the wedding day. It's the sum of the many parts of the marriage that fuels and perpetuates the love from your nuptials till death do you part. So that's what I'm realizing at year 6.. maybe next year I'll have 7 insightful novel ideas on the matter, but for now I'm learning and chewing on this fact. Can you see Kaitlyn squeezed between us?